Red Bull Racing’s Max Verstappen is of the view that Honda won’t be at par with Mercedes or Ferrari in terms of power ‘straightaway’ at the start of the 2019 F1 season. With only simulator runs so far for Verstappen and co in new car with latest regulations changes added, the Dutchman is more or less certain that Honda won’t be able to match the power advantage of Mercedes and Ferrari at the start of the 2019 F1 season at least. Despite knowing that it will be a slightly slower start in comparision to the Top 2 teams at least, Verstappen believes there is positive vibes in the factory where the ‘drive to win’ is from both Red Bull and Honda as he takes another subtle dig at Renault. “It is a new start with Honda, everyone is very motivated,” said Verstappen to his official website while attending the launch of MAXRAW 1 collection at G-Star RAW store in Amsterdam. “We all look forward to the new season. “I don’t think we will match Ferrari and Mercedes straight away in terms of power, but Honda is giving everything to get there as quickly as possible. The team has lots of positive energy. You can see the drive to win. “I believe it now works from both sides, from the team and the engine supplier. I have only driven the new car in the simulator, which feels positive. But of course you will never know what the other teams are doing. “We’ll have to wait and see, me too. It is exciting, although that will really come when I sit in the car. 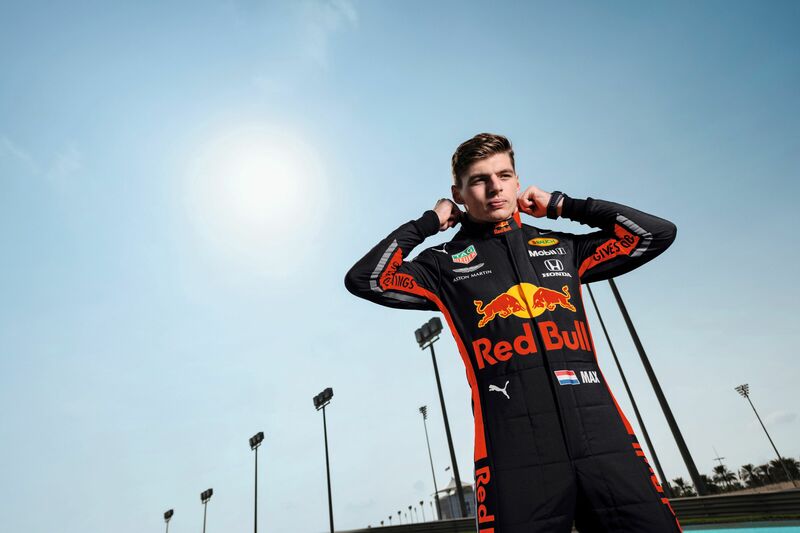 Prior to that it is hard to know what to expect.” In the season where Verstappen is already regarded as one of the contenders, the Dutchman is taking it step by step. “We will try to win as many races as possible,” he said. “And if that is the case we can also go for the world championship. It is hard to judge, but I hope it will be positive. At the moment we don’t know how good the car and engine are. “And [also] how good the competition is. I will always try to get the best out of myself and hopefully that is enough.” The Honda-powered RB15 will be revealed on February 13 as both Verstappen and Pierre Gasly have revealed their new 2019 helmets.